Web push notifications are looking to be the way of the future. It was only a couple of years ago that the technology itself started to gain popularity and it looks like they are going to only get more popular from this point on. At the root of every effective content marketing strategy is the same principle: having good timing and be consistent. This is why web push notifications make so much sense for content marketing, they cover both of those basis perfectly. There is a reason why email has been so prevalent even after so many decades of use; it works. The problem occurs when you realize that people do not have the same attention spans and willingness to check out the links that you send them as before. Lots of times, your emails will go unread, unnoticed or just straight up ignored. Nobody has the time to check out every single piece of correspondence that they get, especially from a company and not a person. Even worse still is the fact that your emails will sometimes end up in the spam bin. Obviously, that is not good for you and your visibility rates. 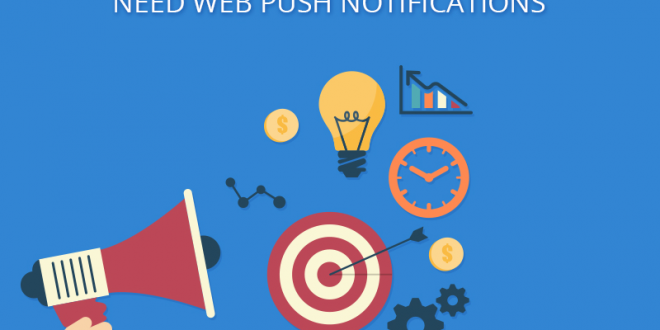 So Why Are Web Push Notifications Different? Well, the fact of the matter is that web push notifications enjoy many benefits that traditional email simply does not have. We are going to list a few of them and elaborate on why you should take them into consideration. It does not matter what your user is doing, what task they are performing at any given time, what they are thinking about, it does not even matter if they are paying attention to their browser or if it is not even open, they will get their web push notification. Therefore, it is very easy to conclude that you can use this extreme rate of visibility in your favor and you would be right. Here’s a quick little fact: web push notifications have the highest visibility rate of any marketing technology and it’s not even close. We are talking about numbers nearing 100%. Yes, you read that right, almost 100% visibility rate! Web push notifications don’t depend on browsers or operating systems, they get seen and that’s that. No other technology has such a direct line of communication. You send the notification; the user gets it. It’s actually quite simple but that is exactly why it is so damn effective. This is especially important to you if you have the necessity of sending time-sensitive information, offers or anything else that relies on the user to be there when you need him or her. With the example of traditional email ending up in the trash a lot of the time and sometimes just going unnoticed by the user’s own volition, it is easy to get discouraged when you look at the opening rates that some of the emails in your campaigns will get. Web push notifications do not suffer from that problem. There is nobody to respond to other than the user and if they don’t like the messages that you send them, they can simply unsubscribe. Simple. Easy. Effective and great for everyone. The retention rate for web push notification subscribers is actually quite high, over 90% year over year. It is a safe assumption to make that once a user is subscribed to you, they will stay that way for pretty much their entire life. Obviously, there are exceptions to this and like with any other power, there is a lot of responsibility with it (thanks, Uncle Ben) so you should be mindful about the messages that you send to your people. This is pretty much all that the user looks at once they get a web push notification. Like we said, it’s not overly complicated or dramatic. There is no step to make, no effort that the user has to put in to get to the message. You will notice that the message itself is quite brief and this is a great thing. Since the user does not take a lot of time out of their day to get their messages, they pay attention to them and read the content that they have. We are talking about something like 125 characters on average here, that is even less text to read than a tweet! 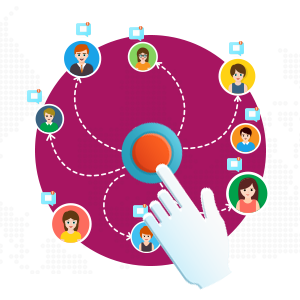 Since you have to get to the point in such a brief period of time, you will let the user know exactly why you are calling for their attention and the user will see that. Another thing that is great about web push notifications is that they contain visuals. You can send a small image alongside the message, but wait, there’s more! You can also use a link for them to use. Isn’t that great? Do Web Push Notifications Kill Email? With all of the benefits that we outlined above, you would probably think that we would be urging you to delete your MailChimp account and call it a day, wouldn’t you? Well, you would be wrong. 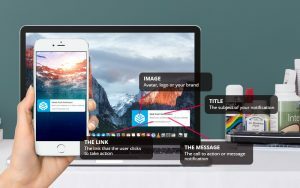 Web push notifications are absolutely essential as a weapon in your arsenal, but it is not the end-all be-all of content marketing. Instead, you should be thinking of a dual effort for best results. Sure, email might be a little bit on the old side of current technologies, but that does not make it useless or even disposable. There are a few situations when you would be better off using email instead of web push notifications. For example, if the information that you’re going to send the user absolutely cannot be contained within a small form, then you should email. If you need to use a lot of visual elements, email is the better choice or if you are going to make an announcement that requires a lot of details, using email is more efficient. If you need to send time-constrained messages that need to reach the user as soon as possible. If you are going to open up a promotion for a limited time. If you need to remind the user to do something or finish a task such as a purchase. If you want to give the user a brief update. If you want to follow up with the user about something. When you are simply not getting the results that you want using just email. We are going to share with you a few best practices for when you are using web push notifications alongside email campaigns. The first one would be to abstain, much as you want to, from sending messages on both channels at the same time with the same information. The final and probably most important best practice is to let the users see the notifications according to their activity level. If you send 10 web push notifications a day to a user who only visits your website once a week, they will get annoyed and unsubscribe. Don’t do that. 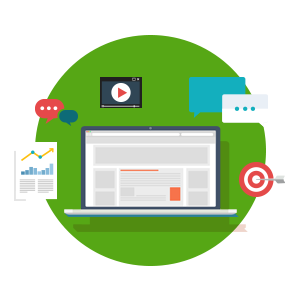 Instead, go ahead and let the volume of messages that they sent be directly related to the amount of engagement and activity that they have within your website. 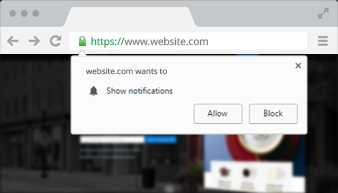 If they are a user that visits your website every day, then let them have many web push notifications that they can use. If they only visit once or twice a week, maybe a daily web push notification would be the best bet. If they haven’t visited your site for a while, then a simple reminder that they are missed would be a fine idea. And so forth. As you can tell, it’s all based on the level of activity that the user has, not on a general number that you have set in stone for everyone. This level of respect for the user is what is sure to let them know that you will cater to their desires in that moment and in the future, which will let them be at east with being subscribed to you for a long time and even tell their friends and family about you!